Mary Ann McClintock was one five women who met for tea in Waterloo, New York, but the conversation soon turned to women’s rights, or rather the lack thereof. The result of this meeting, and another the following day at the McClintock House, was the First Women’s Rights Convention, which was held at Seneca Falls on July 19-20, 1848. Born Mary Ann Wilson in Burlington, New Jersey of Quaker parents, she attended Westtown School in 1814 for one year. She married Thomas McClintock in 1820 and moved with him to 107 South Ninth Street, his store in Philadelphia. They had five children: Elizabeth (1821), Mary Ann (1822), Sarah (1824), Charles (1829) and Julia (1831). They lived in Philadelphia for the first seventeen years of their marriage; there they were active members of the Philadelphia Quaker community and were recognized by their meetings as leaders. The McClintocks moved to Waterloo, New York sometime in 1835-1836. They had family connections to Waterloo. Thomas’ niece, Sarah McClintock was the third wife of Richard Hunt. After Sarah’s death in 1842, Richard Hunt married Jane Master. The family joined the Waterloo Hicksite Quaker community, the Junius Monthly Meeting. The December 15, 1836 edition of the Seneca Observer reported that Thomas McClintock had purchased a drugstore at Main on Street. He later added a stationery and book section. At the store, Thomas circulated antislavery petitions, and held temperance meetings and ran a school in two rooms above the drugstore. As members of The Free Produce Society, they sold only products that were not made by slave labor. The McClintocks became active members in several social reform movements in Western New York – the abolition of slavery and temperance. They offered their home to fugitive slaves as a station on the Underground Railroad. They also raised money to benefit the Irish famine, Hungarian Revolution, and the poor in and around Waterloo. 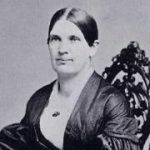 In 1842 Thomas and Mary Ann McClintock became founding members of the Western New York Anti-Slavery Society and helped write its constitution. When Frederick Douglass moved to Rochester in 1847, he joined Isaac and Amy Post and the McClintocks in the Rochester chapter of the American Anti-Slavery Society. After the Quaker service on Sunday, July 9, 1848, Mary Ann McClintock was one of five women who joined Jane Hunt for tea at her Waterloo home. Lucretia Mott, Mott’s sister Martha Wright, and Elizabeth Cady Stanton also attended the tea party. All of the women except Stanton were Quakers. 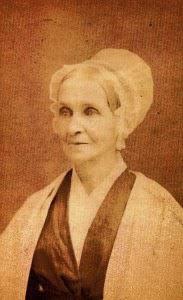 Lucretia Mott was visiting in western New York to attend the Yearly Meeting of Friends. The women decided to hold a women’s rights convention while Mott was still in the area. I poured out, that day, the torrent of my long-accumulating discontent, with such vehemence and indignation that I stirred myself, as well as the rest of the party, to do and dare anything. My discontent, according to Emerson, must have been healthy, for it moved us all to prompt action, and we decided, then and there, to call a Woman’s Rights Convention. We wrote the call that evening and published it in the Seneca County Courier the next day, the 14th of July 1848, giving only five days’ notice, as the convention was to be held on the 19th and 20th. The call was inserted without signatures, in fact it was a mere announcement of a meeting, but the chief movers and managers were Lucretia Mott, Mary Ann McClintock, Jane Hunt, Martha Wright, and myself. A Convention to discuss the social, civil, and religious condition and rights of women will be held in the Wesleyan Chapel at Seneca Falls, New York, on Wednesday and Thursday, the 19th and 20th of July current; commencing at 10 o’clock a.m. During the first day the meeting will be exclusively for women, who are earnestly invited to attend. The public generally are invited to be present on the second day, when Lucretia Mott, of Philadelphia, and other ladies and gentlemen, will address the Convention. 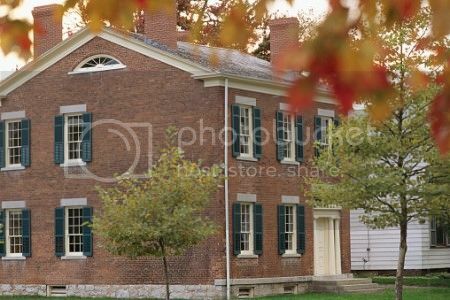 The McClintock family of seven moved into this two-story red-brick house in 1836 and made it their home for the next twenty years. The Declaration of Sentiments would be ratified on the second day of the First Woman’s Rights Convention and signed by one hundred attendees: sixty-eight women and thrity-two men. 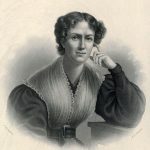 As one of the first statements of the political and social repression of American women, Sentiments met with significant hostility and marked the beginning of the women’s rights movement in the United States. On July 19, 1848, hundreds of women crowded into the Wesleyan Methodist Chapel in Seneca Falls, New York – 3.6 miles from Waterloo. The chapel had been the scene of many reform lectures and was considered the only large building in the area that would open its doors to a women’s rights convention. On July 20, the second day of the First Women’s Rights Convention, abolitionist and former slave Frederick Douglass made a powerful speech that unified the two causes of the abolition of slavery and women’s rights. Later that day, members of the convention voted on the Declaration of Sentiments. One hundred attendees signed the document making it legitimate, and the women’s rights movement officially began. The McClintocks and their four daughters showed their support for the Convention by attending every session and bringing their Progressive Quaker friends with them. 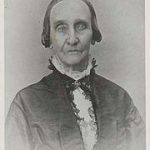 Rhoda Palmer, a Waterloo Quaker and a signer of the Declaration, testified as to the success of their recruiting efforts. 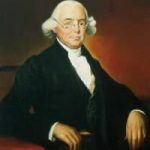 “I think without exception that every member [of the Waterloo Quaker meeting] was present.” At least one-quarter of the signers of the Declaration were Quakers. Mary Ann McClintock, Elizabeth Cady Stanton, and Lucretia Mott all agreed with Elizabeth McClintock. Despite their ardent convictions about the equality of the sexes, these pioneers still had doubts about their abilities. They feared that they, with “such feeble voices and timid manners, without the slightest knowledge of Cushing’s Manual [Rules of Procedure and Debate in Deliberative Assemblies], or the least experience in public meetings,” would only be ridiculed if they attempted to run the Convention themselves. However, Bush’s calm demeanor and self-assurance “soon reconciled the opposition to the seemingly ridiculous experiment,” and the Convention proceeded. 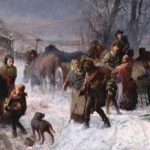 In 1856 Thomas and Mary Ann McClintock left Waterloo and returned to Philadelphia. Information about their lives after that is sketchy. Both resided in Philadelphia until their deaths, Thomas dying in 1875 at age 75, Mary Ann in 1884 at age 84.